More specifically, mistakes during installation may result in loss of energy savings from a high-performance product, repeated service calls to correct issues with air infiltration and water leakage due to improper operation or significant damage from mold growth. 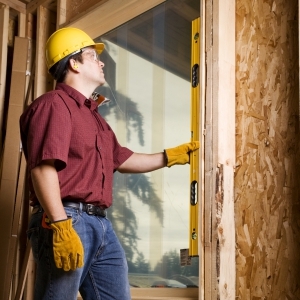 Window and door replacement and installation should be left to professional installers. Installation can be complicated, and manufacturers’ installation instructions don’t always provide complete details on how to handle the hundreds of different surrounding wall and job site conditions. Also, many manufacturers’ warranties don’t cover installation, and if they do, you must use the approved and recommended installation method. Certified installers are trained on best practices and installation techniques based on industry standards for both new construction and replacement projects. Hiring a certified window and door installer can save you both time and money, as well as give you the peace of mind that the installation was done properly. The InstallationMasters® Training and Certification Program is a nationwide training and certification program for installers of windows and patio doors in the residential and light commercial markets. Each participant who submits all required registration material and passes a thorough written exam is deemed a certified installer and receives an official InstallationMasters photo identification card. The InstallationMasters training course is based on the consensus of industry professionals and the nationally recognized installation standard published by the American Society for Testing and Materials (ASTM). Product care, adjustment, cleaning, etc. A full listing of InstallationMasters certified installers can be found on the InstallationMasters website. To obtain additional information regarding the InstallationMasters program, please contact education@aamanet.org.